Watching all the movies on the Warner Bros. 50-movie box set that I bought for cheap. 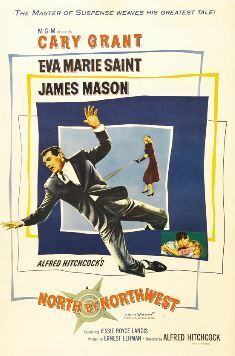 No need for the random number generator because we’ve reached movie number 50, ending this series with some Hitchcock action with North by Northwest. Here’s what happens: Ordinary guy Roger Thornhill is mistaken for an international spy named Kaplan. This kicks off a cross-country chase with enemies in pursuit of Kaplan’s stolen microfilm. Along the way, Thornhill gets a taste of the adventure and romance of a spy’s life. 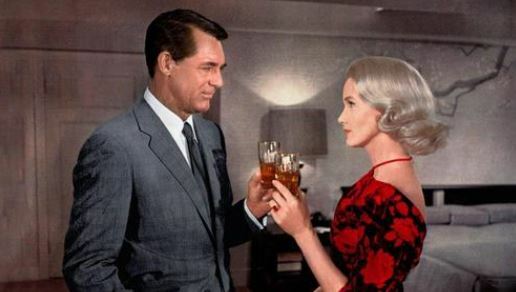 Why it’s famous: Another example of Hollywood Hitchcock, with the classic men-in-suits-and-women-in-pretty-dresses visuals. 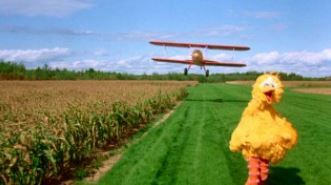 And always, always the cropduster chase. Get your film degree: One of my least favorite movie tropes is the ordinary person who is recruited to become a spy. Hitchcock and screenwriter Ernest Lehman make it work, though. They instead focus on the “ordinary man in an unthinkable situation” aspect of the story, which helps the audience stay invested, even when the story gets over the top. 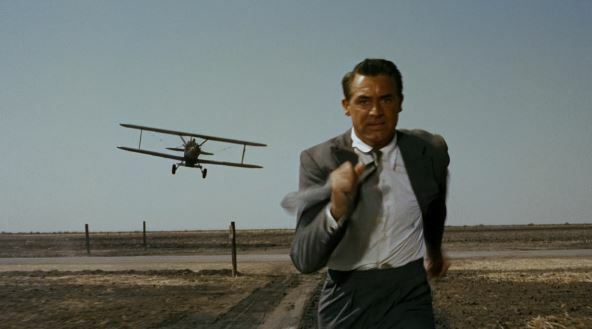 Movie geekishness: Speaking of over the top, how about that cropduster scene? It begins with some long stretches of quiet, with our hero in isolation against this wide, empty backdrop. That way, when the cropduster finally makes an appearance, it feels as though Thornhill is truly helpless against it. 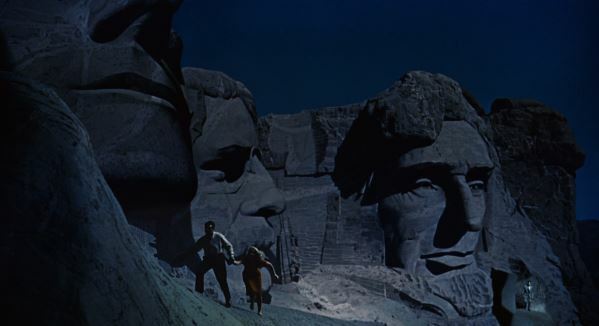 Thoughts upon this viewing: It’s hard to watch North by Northwest without thinking of all the other films inspired by it. Still, it remains a hugely entertaining spy caper.